Injured supporters of Akwa United Football Club got a pleasant surprise on Sunday when Governor Udom Emmanuel paid an un scheduled visit to them. On Saturday, 27 supporters of Akwa United FC on their way to supporting their darling team in a league match against Enyimba in Port Harcourt got involved in a motor accident that claimed the life of a supporter and left others severely injured. Governor Udom yesterday morning went to the hospital to soothe the injured where he promised them that government will take full responsibility for their hospital bills. He ordered those whose cases were serious to be transferred to the state specialist hospital and insisted that their case should be treated with utmost priority. get the best of treatment until they recover fully,” observed the governor. 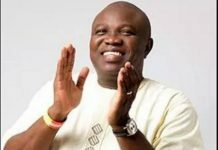 The state Sports Commissioner, Monday Ukoh, told journalists that he was grateful to the governor for the prompt reaction and interest for the well being of his fellow statesmen. He sympathised with the club for the loss of a life and prayed the good lord to give the supporters club and the family of the bereaved the fortitude to bear the loss. 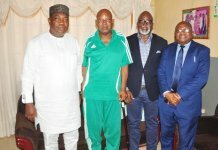 In his reaction, Akwa United FC Chairman, Mr Paul Bassey, said it was a sad day for Akwa Ibom sports and thanked the governor for alleviating the pains of the injured. “You needed to be there to see the relief on their faces as the governor spoke to them individually. I do not think they believed he would come around, but he did, shelving other state engagements. 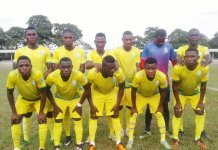 It is a big psychological boost that will quicken their recovery,” stressed Bassey.